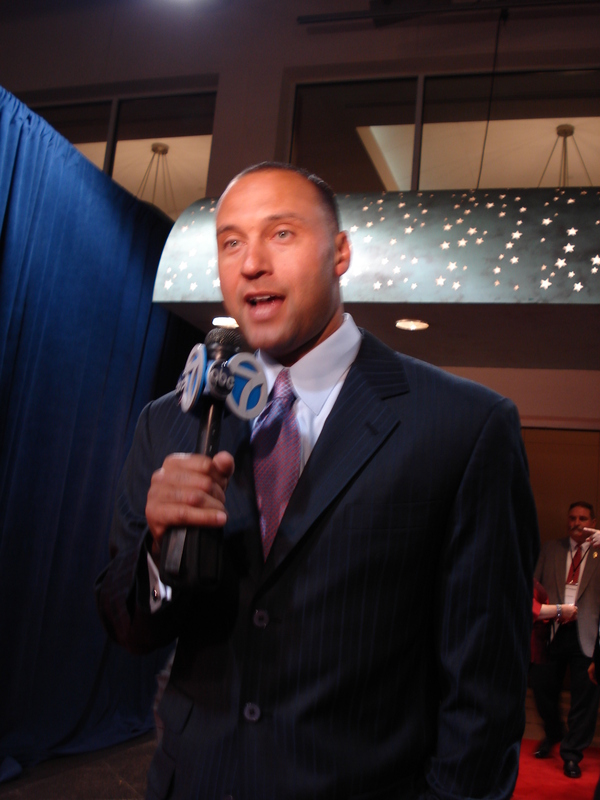 Last Wednesday’s launch of the Derek Jeter-founded The Players’ Tribune, a digital forum for athletes, scored a home run from a media coverage standpoint. 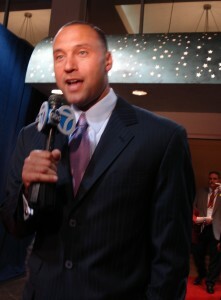 Later that day, key editorial and marketing executives involved in the venture –along with Jeter’s agent — appeared on a panel at Advertising Week New York to discuss the platform further. “It’s like the Go Pro of sports journalism, offering an inside first-person perspective”, said Jason Marks, executive creative director. “We’re giving the athletes that fans know and love a voice. This is longform social, to tell stories with content in a natural way”, added Mark Grande, VP content strategy. “It will be a platform where athletes control their own voice. It’s meant to complement what’s out there and provide opinions, POVs and perspective”, said Jaymee Messer, CMO, Excel Sports Management, Derek Jeter’s agency. “It won’t be a promotional website, and we’ll guard against that”, said Gary Hoenig, editorial director, Jeter Publishing. “We want to make sure this has a higher purpose and isn’t a payback site to get back at reporters. It’s not a fan site, either”, Marks added. “The last thing we need is for The Players’ Tribune to be construed as a vanity project for athletes”, Grande emphasized. “There’s a gap between fans and athletes since athletes aren’t as open when they sit with reporters, who then select story headlines”, Messer said. “When we did research we found that now there are more fans talking to other fans. This gives a voice to the players so the fans can get back to the game”, Marks added. “The content will be aimed at a broad audience and there’s no specific breakdown by demographics. It’s for anyone who loves sports, who are fans of the game”, Grande said. “Derek has been involved in recruiting athletes so far, given his experience with New York media during the past 20 years”, Messer noted. “Many athletes have great stories to tell, but we don’t want it to be homework. So If athletes have something to say, then it’s on us to make sure that happens.” Hoenig explained. “Overall, we don’t want to say anything unless it’s original and unique, and we’re looking for content that’s emotionally resonant and funny. There’s nothing quite like the spontaneity you get from sports, and it’s hard to get that experience elsewhere nowadays”, Hoenig said. “The athletes will focus on issues and topics and will produce their own content. The Players’ Tribune editors will edit their drafts but the athletes will have the final say regarding what we publish. We’ll handle controversies as they arise”, Hoenig added. “We’re not sure yet what percentage will be branded content. At first it’ll be less branded, but over time there will be more branded content as we make deals with various partners. In the long run it’ll be a mix of the two”, said Grande. “Usually we see athletes from the lens of the brands. But here it flips so we’ll see the brands from the athletes’ perspective”, added Marks. So far, the Journal has published one piece of content: an op-ed by Seahawks QB Russell Wilson on domestic violence. What do we think about the potential of Jeter’s new platform?